Trees sold separately. 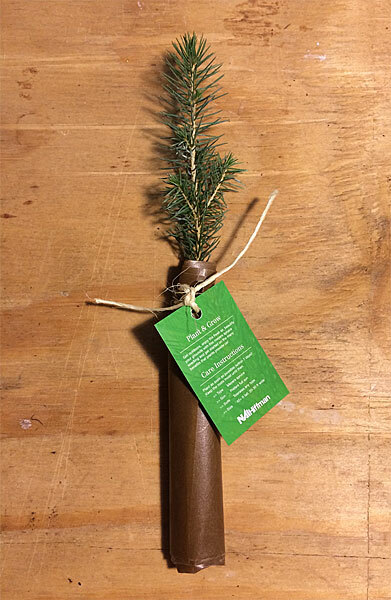 Our eco friendly tree gift packaging is available for plug seedlings only, which must be purchased separately. 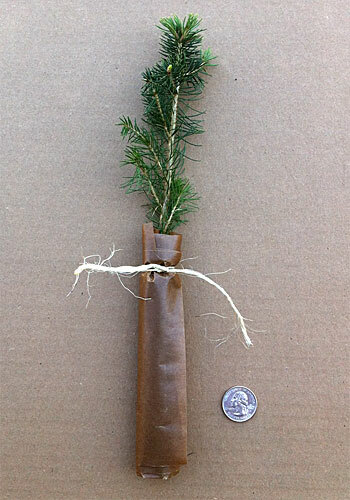 This packaging option is NOT available for “bare root” seedlings or transplants or plug transplants. Save yourself literally hours of prep time getting your eco friendly tree gifts ready for that special event! We will pack the roots of each of your evergreen trees in eco-friendly wax paper, tied with natural twine…no plastics are used. The final rolled wax paper measurements are approximately 1 inch wide by 6 inches tall, not including the height of the tree itself. These are perfect for handouts at weddings, corporate events and trade shows, since  you don’t have to do any of the dirty and time consuming packaging work,  they are thoroughly clean on top and snugly packaged on bottom, so they won’t make a mess, and  they will stay properly hydrated for up to 10 days. 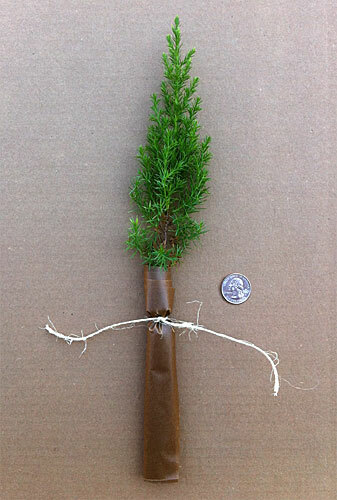 It is not always possible to ship eco friendly tree gifts on less than 24 hrs notice, since assembling these plastic-free earth friendly tree gifts can be a time intensive process, and some types of evergreen trees may need to be rinsed and allowed to dry [or thawed out if winter]. We recommend that you order eco friendly tree gifts at least 24 hrs prior to your preferred ship date. If you need more than 500 trees packaged in this manner, please contact Rick with your specific needs to ensure that things go smoothly.